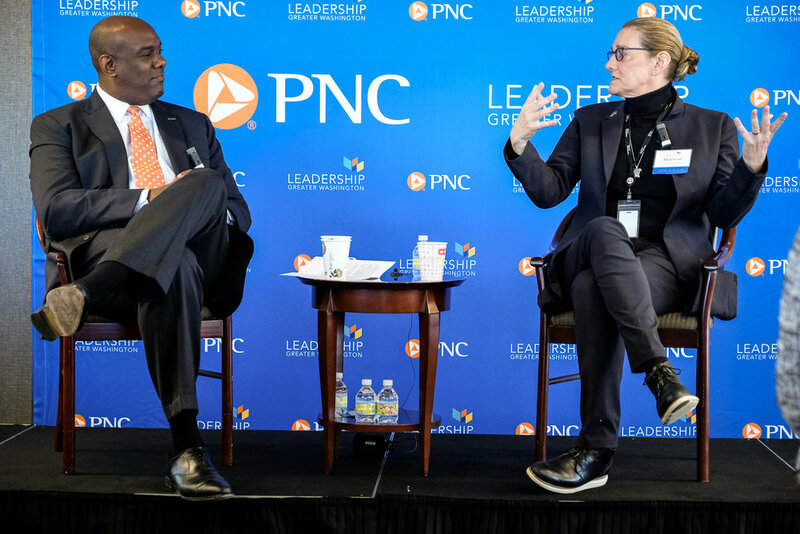 Leadership Greater Washington members, regional leaders, and community partners gathered for a very special Lessons in Leadership featuring Fortune 500 CEO and technologist, Dr. Martine Rothblatt. Dr. Rothblatt is the CEO of Silver Spring based, United Therapeutics Corp, and the founder of Sirius XM Radio. She was recently named one of the "World’s Greatest Living Business Minds" by Forbes Magazine and one of "Washington's Most Influential Newsmakers" in the Washington Business Journal's 2017 Power 100 List. 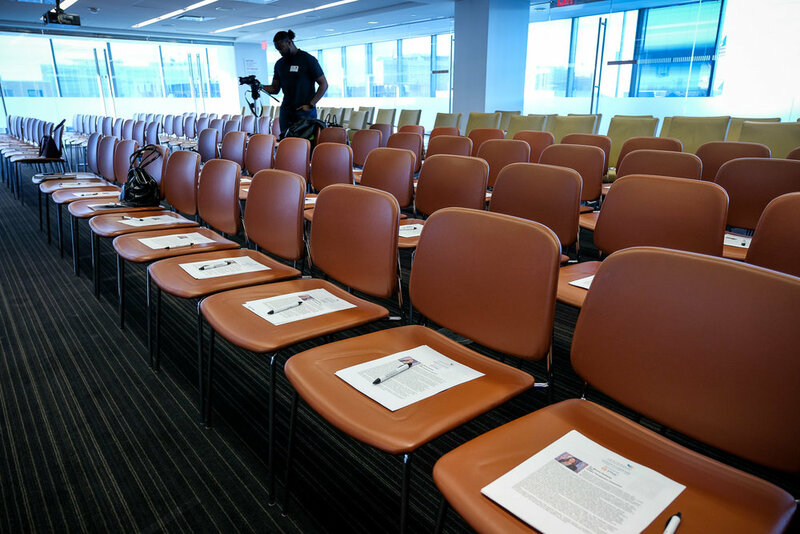 The conversation, moderated by Richard Bynum of PNC, focused on a variety of topics including, best leadership practices when working with a diverse and talented team, the next frontier of technology and the role of personalized healthcare in the lives of millions of Americans. 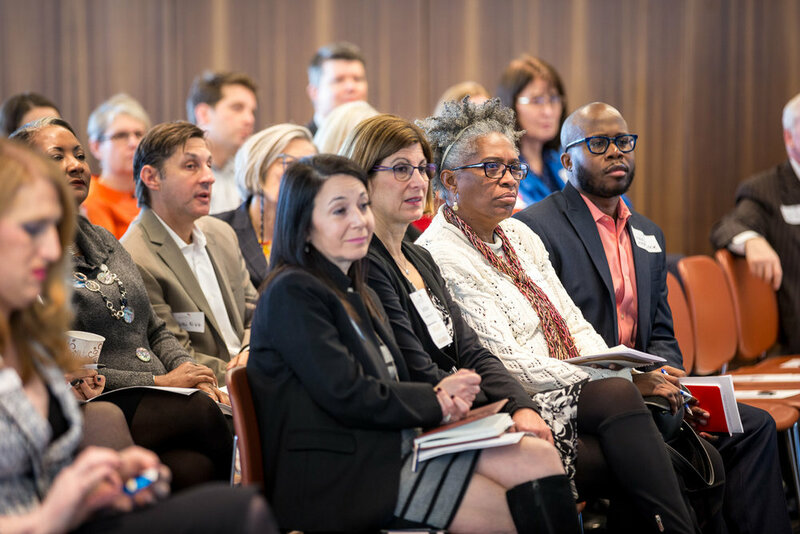 Attendees were truly engaged in the discussion and a lively Q&A session as Martine shared reflections on lessons learned over time and her favorite digital trends.